Tensions surrounding Jerusalem just got worse, thanks to a bit of make believe and Photoshop. 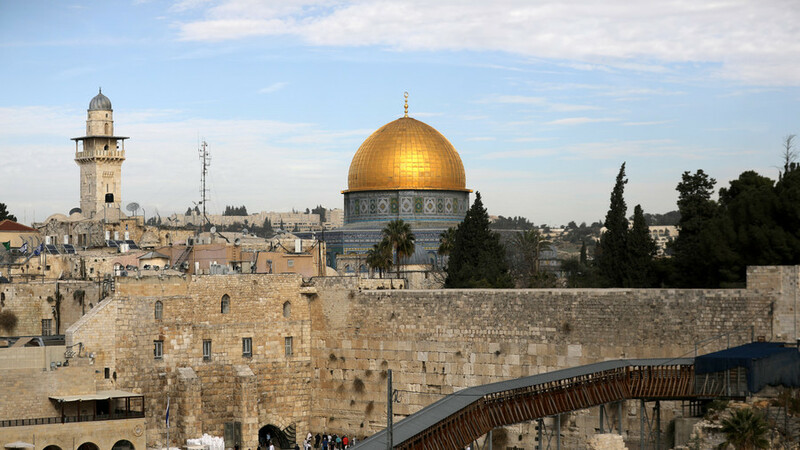 The US ambassador was thrust into controversy after accepting a picture of the city which replaced a mosque with a third Jewish temple. US Ambassador to Israel David Friedman was all smiles as he accepted the aerial photo of Jerusalem during a tour of the city of Bnei Brak held by the ultra-Orthodox Achiya organization, which aids children suffering from learning disabilities. What’s missing in this photo of Jerusalem that US Ambassador to Israel David Friedman is looking at? The Dome of the Rock & Al-Aqsa Mosque. Removing the Islamic holy sites is a long-term goal of far-right Israeli Jewish extremists who want to erase Palestinians from Jerusalem. 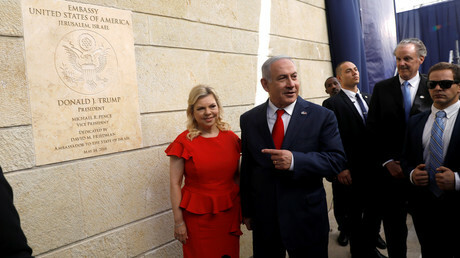 While a gift to a US ambassador by an Israeli organization isn’t exactly breaking news considering the Jewish State’s extreme delight at Washington’s decision to relocate its embassy to Jerusalem, this one particular gift was more than a bit absurd, because it isn’t at all factual. The photo shows the iconic Al-Aqsa Mosque and the Dome of the Rock replaced with the Third Temple, which has been long sought after by Jews. The image of Friedman was first published on the ultra-Orthodox news website Kikar Hashabat. Meanwhile, despite the US Embassy insisting that Washington supports the status quo, others aren’t so sure. Al-Aqsa Mosque even made it into a Dutch comedian’s parody of Israel’s winning Eurovision song. “The world’s leaders are eating out of my hand… we’re throwing a party, are you coming? Later, at the al-Aqsa mosque, which will be empty soon anyway,” one lyric states. Israel’s Embassy in the Netherlands has lodged an official complaint. Zionists to Bomb Al-Aqsa Mosque; Blame Arabs?